Working for change is the pervading theme in my different undertakings: Administration and politics in Stockholm City, development work in the County Council and legislation and policies in Government offices, such as the Director General and in Consulting. n as life changes, I have been called Inger Claesson, Inger Claesson Wästberg and now Inger Wästberg. But, I am the same person. It began at the end of the 1960s, with participation in an action group to change the relationships for persons with – as it was called then – mental retardation. For half a century, I would work with human rights and equality by closing outdated and rundown institutions in Stockholm’s County Council and as Development Director of Health and Social Welfare in Stockholm’s County Council 1977-1987. At the Ministry of Health and Social Affairs, I participated in writing the Law on personal assistance (LSS) and pushed through that children would also be given this right. As Director General for the Disability Ombudsman, I worked, in particular, to call attention to the invisible functional disabilities such as dyslexia, ADHD and other neuropsychiatric disabilities. As a member of the City Council of Stockholm, I wrote the proposal on Alla Kvinnors Hus (Every Woman’s House) which was signed by all of the parties and led to Alla Kvinnors Hus opening on Svartensgatan in 1978 — where it remains today. When I was a member of the local housing committee, I was able to change the Liberals position on demolition and worked for restoration. During the time when I accompanied Olle Wästberg to New York, I changed the Swedish residence to an arena for Swedish design and a meeting place for young entrepreneurs. I am also active in Wästberg Communications AB. The past few years, I have devoted myself to trying to change the view of contemporary art jewelry. To position it alongside painting in the hierarchy of art. International collaboration and networking have been other common theme through the years. I have given a hundred lectures in the field of disabilities, the world over, including Australia, Japan, China, India, Israel, Canada, the USA, Mexico, Brazil, Argentina and at the UN. During my time as the head of the Institutet för Integration (IFI) (Institute for Integration), I arranged international conferences in Stockholm. 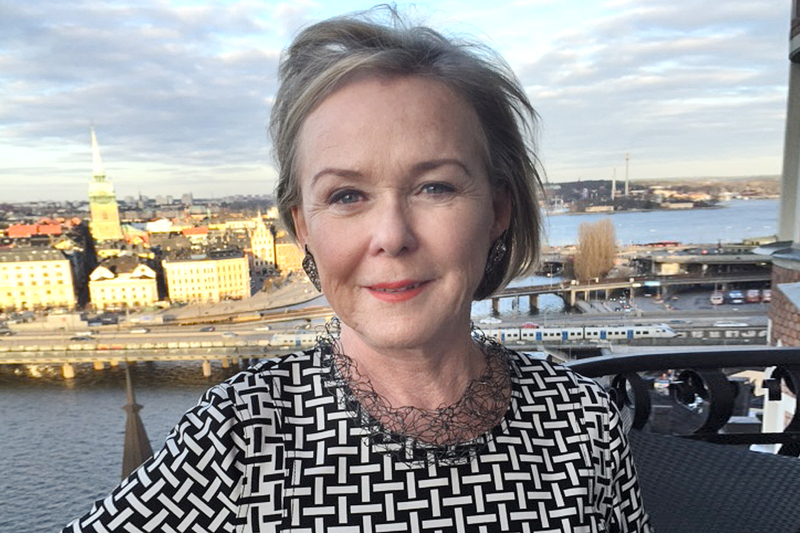 Now, I am part of the Global Leadership Council for the Museum of Arts and Design in New York, and have initiated the International Jewelry Exhibition in Stockholm 2016. Seventh Regiment Armory, Oktober6-11, 2005 commissioned by the Bard Graduate Center for Studies in Decorative Arts, Design and Culture. Exhibition of contemporary Swedish Jewelry artists. Konsthandeln, Stockholm May 12-21, 2011.